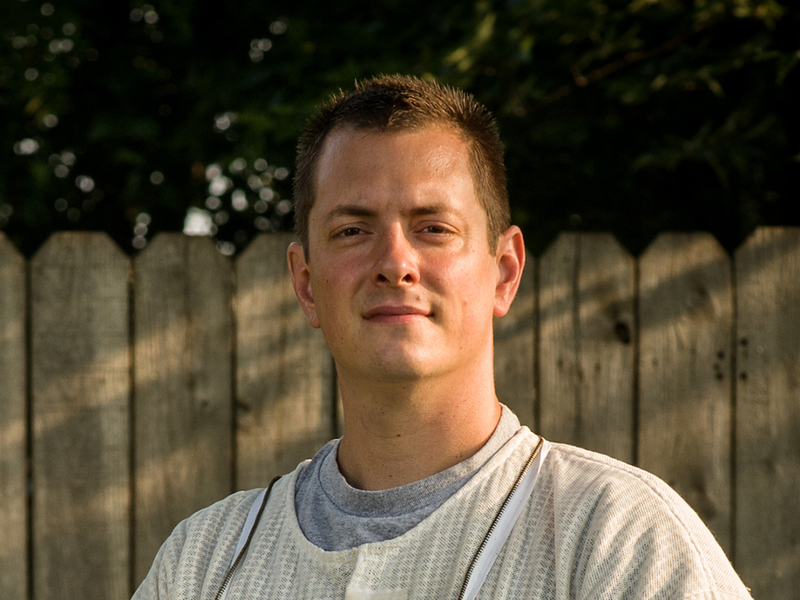 My name is Nathan Clarke, and I the owner of Mad Urban Bees, one of the first commercial urban apiaries in the country. Urban Honey is from the flowers, trees, parks, and gardens of Madison itself. I’m a beekeeper of 14 years. I started with two hives in my backyard, and now I manage over 100 hives in the Madison area. My hives are located in the cities of Madison, Middleton, and Monona. My bees pollinate the gardens, trees, and flowers of this rich urban landscape. The honey is unique to Madison, a truly artisanal, unique honey. My hives are hosted in backyards and on rooftops by the local residents. My hosts are bee advocates. They are people who want bees in the city and understand the benefit that bees bring to our ecosystem in urban food landscape. There are a lot of urban beekeepers in Madison, and we are a very pro-bee town. Madison has a very strong local food movement, and the bees help that local food system by providing pollination and great tasting honey. Urban Honey has a unique flavor that is light, floral, and spicy. It also changes with the seasons. We extract and bottle our honey in small batches, so we can promote this seasonality and locality. You are truly tasting the variety and diversity that Madison has to offer in the honey itself. We use wine tasting descriptions to help describe what flavors we can taste in our Urban Honey.